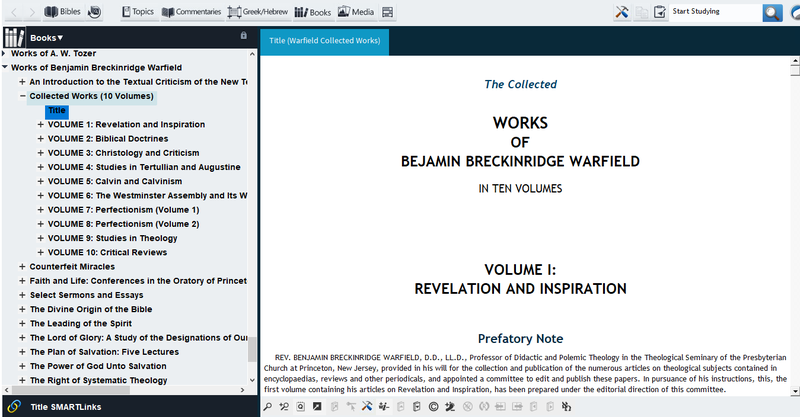 This collection combines the Works of Benjamin Breckinridge Warfield (21 volumes) and the Works of J. Gresham Machen (10 volumes), also available separately (see those pages for lists of the individual titles). 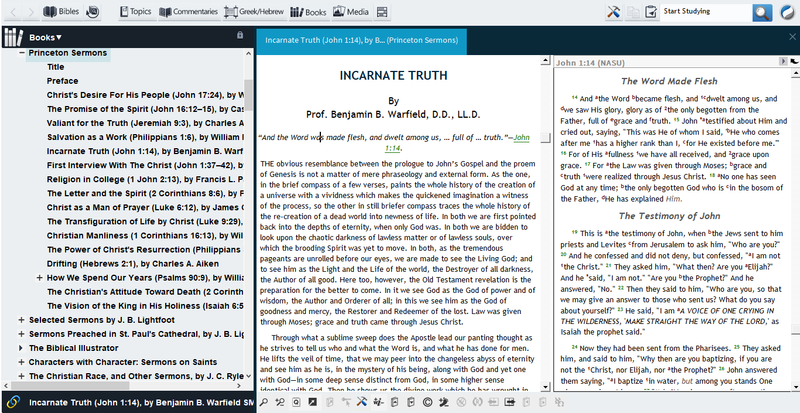 Warfield and Machen both spent much of their careers at Princeton Seminary, including a brief period (1906-21) when they served together, as Professor of Theology and New Testament studies, respectively. 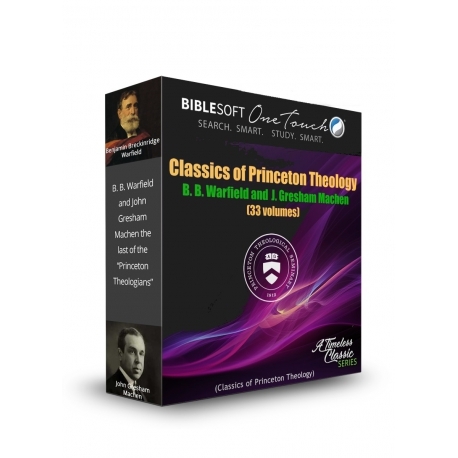 The Princeton Theological Seminary (founded in 1812) was one of the first such theological graduate schools in America, and proved to be a bastion of Reformed (Calvinist) theology all throughout the 19th century. But by the early years of the 20th century, liberal tendencies, which had begun to gain in prominence throughout society, started to influence the theology of many Reformed Churches, including notable schools such as Princeton. 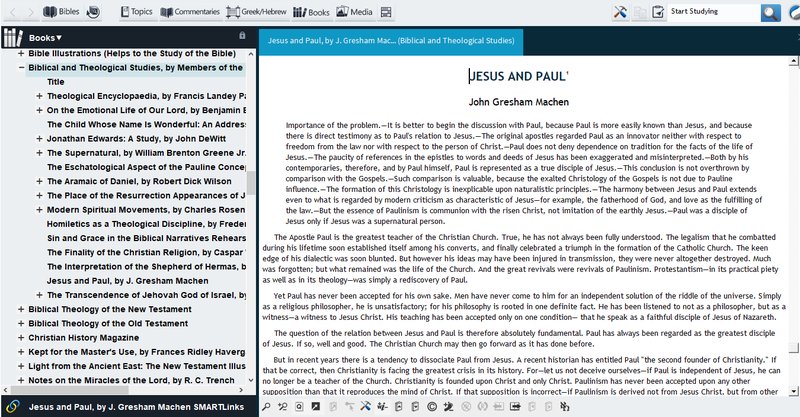 Warfield and Machen both fought hard to preserve their ideal of Protestant orthodoxy and conservative Reformed theology in the face of such trends. Each, in his own way, proved to be a leading figure in the so-called Fundamentalist/Modernist controversies of the period, and, as apologists and defenders of the faith, Warfield and Machen are both considered heroes by many Evangelicals today. 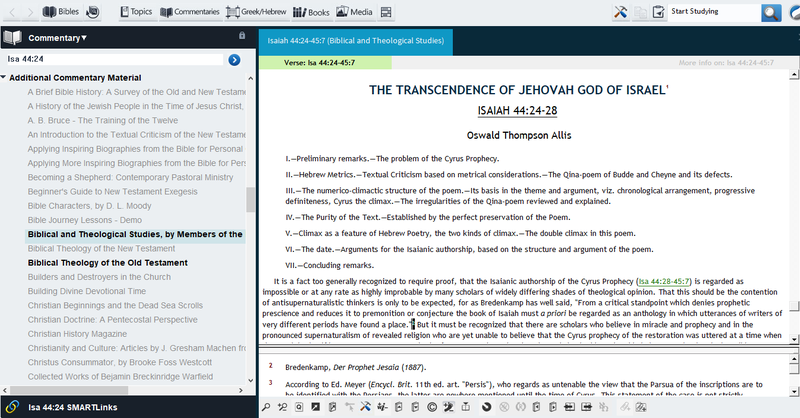 Their writings and lectures dealing with Apologetics, Theology, the History of Doctrine, Biblical Criticism, and numerous other subjects, make for compelling reading, even for those Christians who do not share all of their particular beliefs or arguments.